Welcome to the 919 Lacrosse Association! Learn elite level skills in the lacrosse positions of your choice from some of the area's top high school coaches, travel team coaches, collegiate players, and elite level guest speakers from around the country. 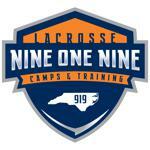 Experience how to become a consistent, dominant, and confident player by joining the 919 Elite Lacrosse Camps! DISCOUNTS: Sibling Discounts will automatically be applied where applicable. EQUIPMENT: Full regulation lacrosse equipment is required for all events, and includes helmet, shoulder pads, elbow pads, gloves, stick, mouthguard (boys). 919 JERSEY: A 919 Lacrosse jersey is required for participation within each session. A one time purchase will be required unless a new jersey is required for any reason. REFUND POLICY: There is up to a 50% refund on registration cancellations prior to the start of a program, and they must be made in writing by sending a message to Directors@919LacrosseNC.com. There are no guarantees of any refund at all. There are no refunds after the first session of the season. We look forward to working with your family this season! If you are registering more than one player in your family for a league, you will receive a $10 discount on the 2nd (3rd + all additional children) registration fee. In order for the registration system to recognize that you are registering multiple players, please register all of your players at this time. On the Review Page, there is a link near the bottom to "Register Another Player" - please click on this link to ensure that all of your players are registered within the same order.